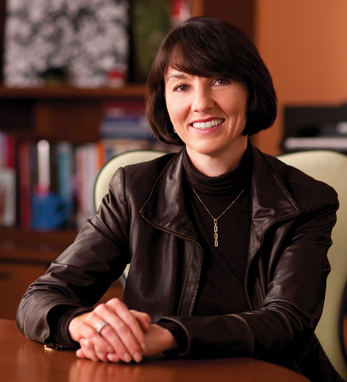 Susan Mahony, M.D./Eli Lilly & Co.
Dr. Sue Mahony is president of Lilly Oncology as well as senior vice president for Eli Lilly and Company. Sue joined Lilly in 2000 with over a decade in sales and marketing roles in Europe and the United Kingdom. From there, she worked in a variety of roles in global marketing and product development, leading Lilly’s operations in Canada, later acceding to senior vice president in 2009 and president in 2011. Sue learned from an early age working in a card shop the importance of hard work and dedication which she carried through to her studies. She attended Aston University in Great Britain where she received a B.Sc. in pharmacy, later completing a Ph.D. in Aston’s Cancer Research Campaign Experimental Chemotherapy Group. Sue did not stop there, but went on to the London School of Business where she completed a master’s degree in business administration. She serves on the board of the United Way of Central Indiana and in 2010 was recognized as one of Indianapolis Business Journal’s “Women of Influence.” Sue and her husband John have two children, Thomas and Rebecca.